Larry Cadillac is a full-service salon & barbershop for men and women. 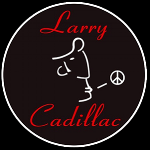 at Larry Cadillac's to be as unique and authentic as the people who fill the shop. LAWRENCE IS ALSO THE OWNER OF THE SALON AT MANALAPAN BY LAWRENCE GERARD & ASBURY ARCHAEOLOGY.